Donating dollars makes the biggest impact. With your dollars, we can purchase two to three times the number of diapers you can in a store. Making a donation through the PayPal Giving Fund ensures 100% of your contribution will go to the CNY Diaper Bank. PayPal covers all processing fees. Making a direct contribution on our website allows you to donate once OR make it a recurring gift to help sustain and grow the CNY Diaper Bank. Click this image to download and print. A great way for a school or youth group to raise funds is to hold a coin drive! As little as 10 cents buys a diaper so EVERYONE can make a difference no matter how small the contribution! Print out our jar label and get started collecting "Diaper Change" today! If you are a retailer or own a business and would like to host a "Diaper Change" collection container at your checkout counter, please contact us! A "Dollars for Diapers" fund drive is an easy way for a group of people to each contribute a little bit to make a big impact. It's an easy way to collect money on an office wide "Dress-down Day" or "Jeans Day". Print out our flyer and start spreading the word! 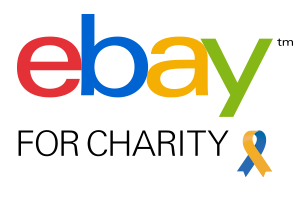 Use Giving Assistant to save money and support Central New York Diaper Bank Inc.
Buy or sell on Ebay to benefit the CNY Diaper Bank. and donations are tax deductible to the fullest extent of the law.